Tips for Finding The Best Online Legal Marketing Company for Your Law Firm – Web Presence Esq. At WebPresence, Esq. we lead by example. Unlike some legal marketing companies, where you can’t really be sure who you are dealing with and if this mystery person should really be trusted with your law firm’s reputation, WebPresence, Esq. believes in a personal, hands-on approach. What’s more, we don’t offer any services that we don’t engage in or use ourself. Take our founder, Kristen Marquis, Attorney at Law, for example. Her LinkedIn profile is updated to its fullest extent and she maintains a very active presence on the site; using it to build business, develop her professional reputation, and establish her authority in the field of online presence management for lawyers. Don’t believe her? 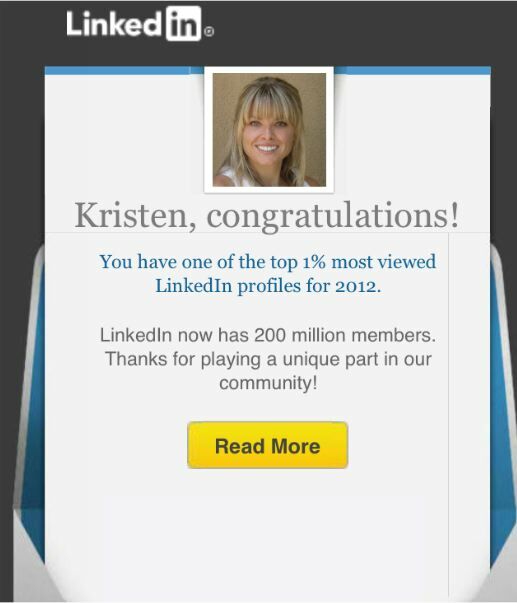 Ask the thousands of professionals who visited her site last year, making her profile one of the top 1% most visited profiles on LinkedIn in 2012. So before you hire a legal marketing firm and/or place your professional reputation in another’s hands, ask yourself: Would I hire an overweight personal trainer? An always-sick doctor? Of course you wouldn’t. Just like you wouldn’t hire a social media marketing company for your law firm that doesn’t maintain an active and engaging online presence and doesn’t require the same of its employees. Finding the right online legal marketing company doesn’t have to be difficult. Check your point of contact salesperson out online. 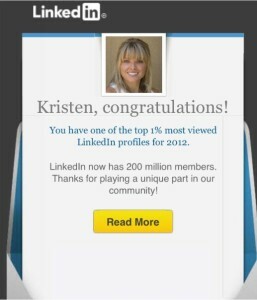 Does their LinkedIn profile or Twitter feed provide you with a compelling reason to call them? Research the company and see how it is using the Internet to do the very things it promises to do for you and your law firm. And most importantly, run the other way when you observe a “do as I say, not as I do” mentality.